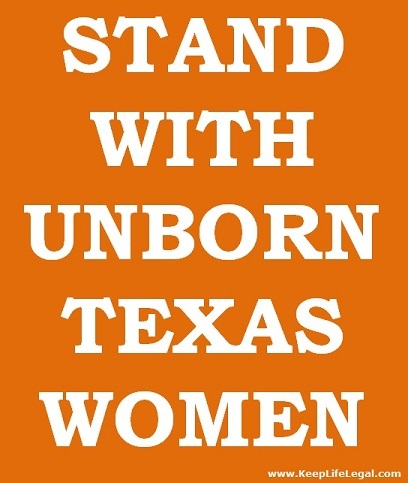 STAND WITH UNBORN TEXANS: Abortion providers wants your kids. What kind of ghoul goes around trying to provide abortions for minors without their parents knowledge? In Texas, it’s “Jane’s Due Process.” And it’s a NONPROFIT. People actually donate money to ensure your child’s ability to get secret abortions. And if that’s not enough, they have a page on their site to make sure minors can circumvent the law and their own parents. “All information received from donors and volunteers is strictly confidential“, [emphasis theirs]. I suppose that’s a good thing because I know a lot of parents that would love to know exactly WHO DONATED MONEY FOR THEIR CHILD’S SECRET ABORTION, [emphasis mine]. Jane’s Due Process has an abortion assistance fund grant to pay for a minor’s abortion along with the Lilith Fund which “envisions a society in which equal access to abortion is guaranteed for all women”. Hmm….a kid can get a secret abortion but can’t vote or buy a house? I cannot imagine having just ONE goal in mind every day trying to figure out how to sell more abortions to other people’s CHILDREN. I suppose it takes a real special person to personally account for a minor’s abortion like a feather in their cap. 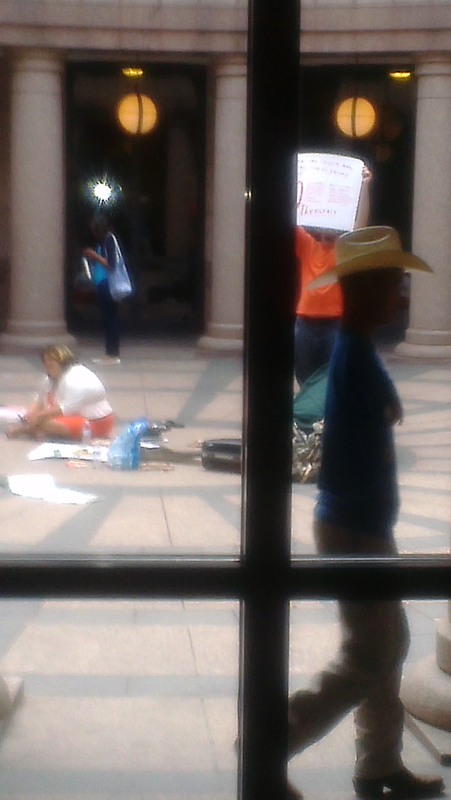 We saw the orange shirts in the Texas Statehouse, we were there. We saw the GHOULS rampaging and circling prolifers. We watched them make senseless profane signs and speak nonsensical utterances. But what was the most evil of all was seeing these orange clad parents and grandparents with their teens and tweens teaching them to debase and ridicule people and what is good and decent: GOD and the LIFE of an unborn child. Jane’s Due Process and Planned Parenthood say they ‘Trust Women’. Well that’s great…but kids need to trust their parents, not these so-called nonprofit GHOULS. Don’t let these GHOULS be parents to your kids. Stand in the gap and #Stand4Life. Previous postAbortion, Old School Excuse. Shayn Roby’s Take: Reverend Katherine Marple mentions the word ‘ghouls’ in this pro-life article. That would be an accurate term, particularly in light of the fact that some of the evil supporters of genocide and infanticide were chanting ‘Hail Satan’ at the Texas State Capitol in Austin.